View LMO Acquires Strategic Communications Firm, Griffin & Co.
From the perspective of a designer, most out-of-home advertisement conversations begin pretty simply. Whether it’s anything from a bus shelter placement to a roadside billboard, familiar specs are gathered and the advertisement is built accordingly. However, when specs for a billboard placement came in last month, it was slightly different. The other turned out to be a set of billboards that totaled almost 8,000 square feet of digital display. 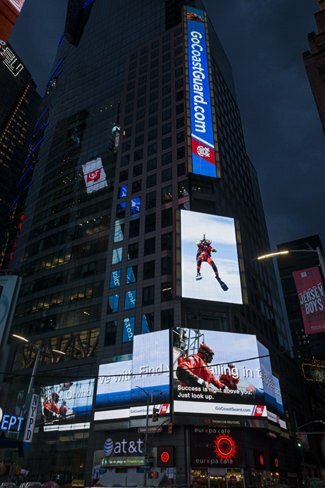 Our client, the United States Coast Guard, wanted to go big—really big—to raise awareness of their opportunities, so LMO secured their dream placement in The Crossroads of the World, Times Square. Nasdaq Tower: Our primary challenge was developing an advertisement that overpowered the interruption of the windows that are cut out of the billboard. We selected a strong image of a Coast Guard Cutter, integrated animated coordinates, and a scrolling call to action. Together, these elements made the billboard look seamless. Thomson Reuter billboard: To connect the billboard that was both unusually tall and wide we placed an emphasis on unique features and images from the Coast Guard. We paired a scrolling call to action with static Coast Guard logos that were positioned on each different angle of the billboard set (visible on both sides of the intersection, as well as the corner itself). As the ad progressed, a Coast Guardsman repelled down from a helicopter, appearing in the main frame of the billboard and bringing “GoCoastGuard.com” with him. The final effect was extraordinary in that it was a realistic event that was happening right before your eyes. 1) You’ve got video boards, so use video. 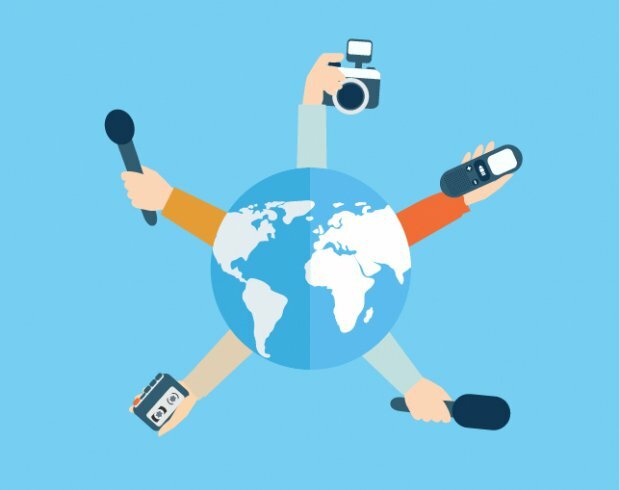 The difference in impact between static advertisements and animated or video content cannot be overstated. As I stood beneath the dominating displays, content that integrated animation was more engaging, memorable and impactful. 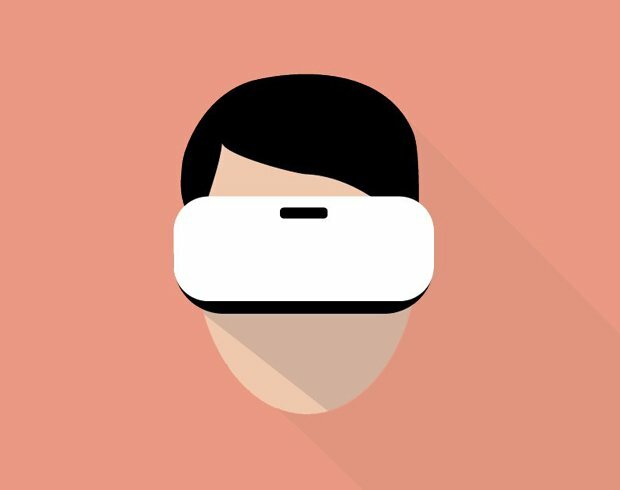 A step above animation was footage. Billboards promoting movies, musicals or nightclubs featured full video that was eye-catching and allowed the potential for a greater story. This helps an advertisement grab the attention of passersby, and provides a continued narrative to keep them watching. An advertisement cannot and will not compete with the hustle and bustle of the city if it has neither. 2) If they wanted it to resemble the city, there wouldn’t be billboards. The billboards in Times Square, while having the primary purpose of being advertising channels, should also serve as visual escapes from the aesthetic of the city. An effective billboard should interject the glassy facades and stone exteriors of office buildings by colors and images that are both rich and uncommon for the cityscape. Particularly strong cases of this were exhibited by the energetic ads of T-Mobile, whose industry-wide ownership of the color pink grows stronger ever year, and Thomson Reuters, who fully utilized (their own) billboard with façade-based animations and a gold color that shone strikingly after sundown. 3) The city never sleeps, but that doesn’t mean I have time to identify your brand. I was most surprised to find some advertisement’s losing focus of either the advertisement’s brand or its primary message. This came in two forms: either a static billboard was insistent on including as much information as possible, clouding the concept; or such a large focus was put on moving visuals that the brand identity itself took a back seat. This surely has to do with the goals of each ad, but it is a great example of why agencies and clients must work together better to ensure that the priorities of the advertisement (visual engagement vs. messaging) are weighted correctly. This was a tremendous opportunity for both LMO and the United States Coast Guard and we’re immensely proud of what we accomplished. 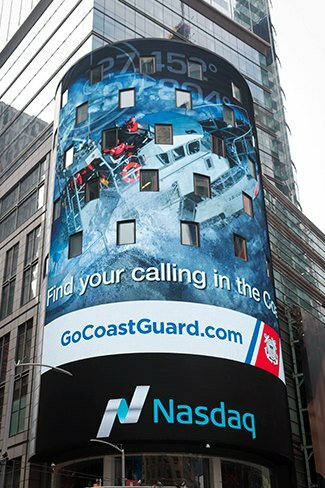 We made sure that the Coast Guard stood out in the largest ocean of ads in the United States, Times Square.